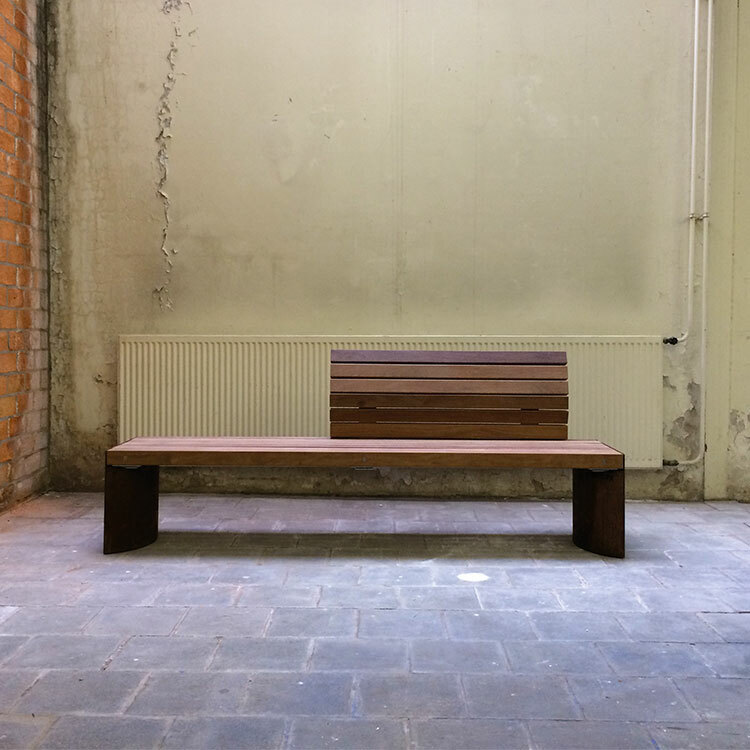 The Solitude Bench is a streamlined bench with an optional short, curving backrest. The high backrest is pleasantly comfortable. 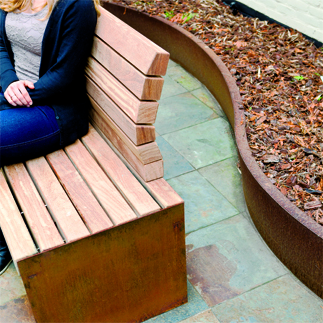 Solitude Benches are beautifully detailed and ideal for architectural gardens. 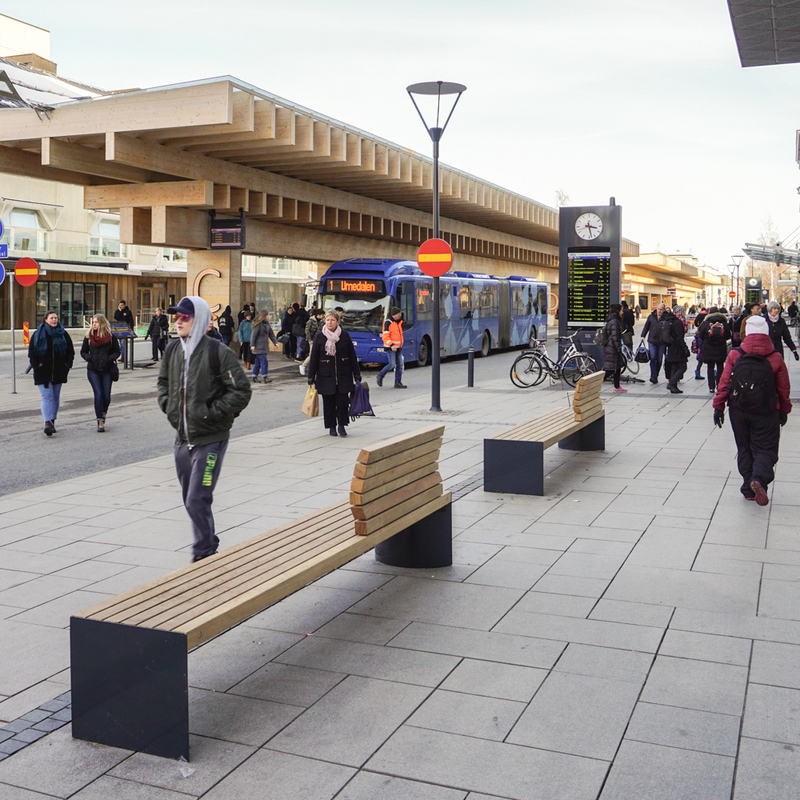 If desired, the benches can be anchored to the surface with concealed attachments. The backrest makes for an exciting shape and the ergonomic support is truly superb. 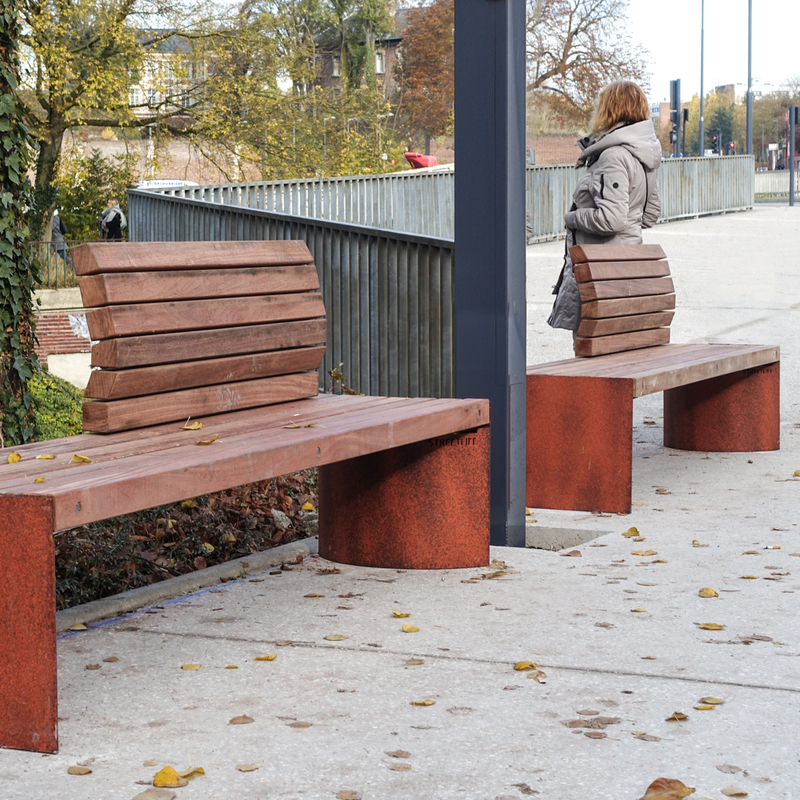 The supports are available in CorTen steel or shot-blasted aluminium and are rounded on the inside. The 7x7 cm - 2.8”x2.8” Solid slats are made of 100% FSC® hardwood attached to Streetlock® combs with stainless steel anti-theft flange nuts.